Ida E. (Ragucci) Natale 93, a lifelong Everett resident passed away at the Melrose Wakefield Hospital on Monday February 4. Ida was born on April 29, 1925 in Everett, one of ten children of the late Alexander and late Margaret (Uliano) who emigrated from Italy to the America to raise their children. Ida was the beloved wife of the late Michael Natale. It was in Everett that they raised their son, Pasquale. When Ida worked she was employed by Sexton Can Company in the office. Ida was the loving mother of Pasquale Natale and his partner David Couture of Provincetown. 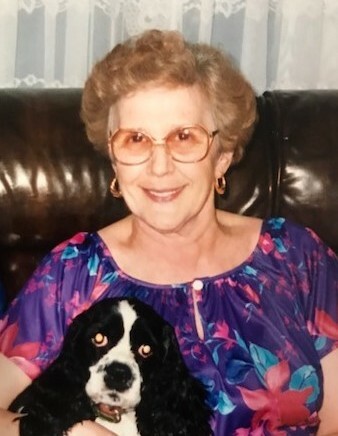 She was the sister of Gloria Ragucci of Everett, Carmella Natale of Dracut and the late Mary Masella, Phyllis Sico, Annette Patten, Eleanor Ragucci, Carl Ragucci, Charles Ragucci and Emilia Ragucci. Dear friend of Rosemarie Bellandi. Visitation from the Murphy O’Hara Funeral Home 519 Broadway Everett on Thursday Morning from 9 am to 10:30 followed by Funeral Mass at 11 am in the Immaculate Conception Church.